Kickstarting product design: episode #2 WHAT? Since we launched our product – The Belll – on crowdfunding platform Kickstarter we have been getting a lot of attention. People from all around the world contacted us to get to know more. Most of them had specific questions about our product itself, but we also received a load of requests to explain what choices we made up to the point of launching. At Veeel we start each and every project by asking “Why?”. And we keep on asking this simple question until we are at the very core of the situation. So, for The Belll we started with “Why?” as well. See my previous post for the answers to that question. Next up is setting the “What?” of our project. What are the most important aspects of The Belll? Our main goal was to see if people who said that they liked The Belll would actually like it enough to pre-order it. We realized that by asking people to support us, we should be able to turn their trust into satisfaction as fast as possible. A perfect production of The Belll would therefor be our first priority after successful funding. So before launching our campaign on Kickstarter we already put everything into place with our Dutch manufacturing partner. We also wanted it to sound superb. We talked to experts in the field and came to the conclusion that brass would be the only suitable material for the inside. What did we wanted The Belll to be? High quality in the first place. What will be the USP? What was the unique feature of our product that we wanted to highlight? We had to finalize the proposition for our product. Our product is a bicycle bell. And we had to be honest: it would not save our planet. 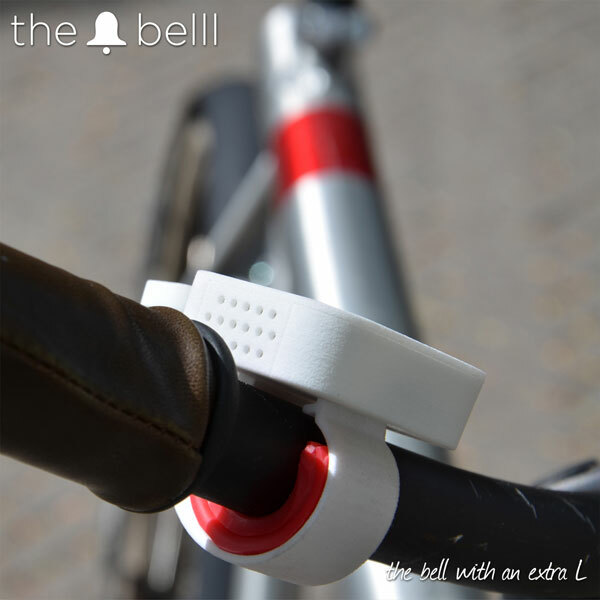 It would keep you safe(r) in traffic, but every bike bell does that. The Belll caters to a different need. In urban areas around the world people start to see more and more advantages for cycling. For instance New York showed an increase of 289% of people riding bicycles and that makes sense. Cycling is healthy, it’s fun, and it makes you feel free. And, people started to care for their bike because it became increasingly important part of their life. We wanted The Belll to ooze that same feeling. It wasn’t just a bell; it was The Belll. With an extra L to celebrate your fun and healthy life! What will be the market? What would be the ideal customer for The Belll? We knew there was interest from different industries, like the bicycle and fashion industry. Even before actually thinking about it, the gadget people were knocking on our doors. We were honoured, but decided that this was not the way we wanted to go at the moment. We were starting a company in the celebrating life business, not a hype. Of course, the numbers in this industry are appealing, but we wanted to make a product that made a connection with people. A product they would anticipate and would feel connected to. So what was important to us? That The Belll could be customized to anyone’s wish. The Belll is funded! We are currently putting everything in place to enable people from Australia to the USA to celebrate life asap. Every form of support is still always welcomed! Previous post: Kickstarting product design: episode #1 WHY?